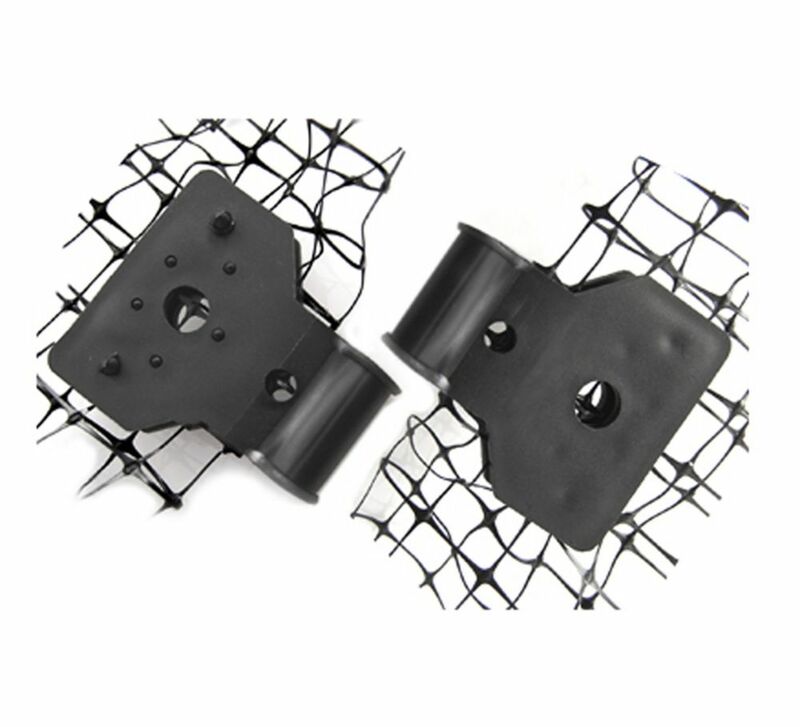 The Bird Netting Mounting Clips are the most effective, durable, and secure way to mount Bird-X bird netting. The heavy-duty clip snaps on the bird netting as well as installs easily on mounting surfaces. You can use screws, nails, adhesive or Velcro. Bird Net Mounting Clips (250-Pack) The Bird Netting Mounting Clips are the most effective, durable, and secure way to mount Bird-X bird netting. The heavy-duty clip snaps on the bird netting as well as installs easily on mounting surfaces. You can use screws, nails, adhesive or Velcro. Bird Net Mounting Clips (250-Pack) is rated 4.5 out of 5 by 2. Rated 5 out of 5 by OhioGrandpa from Should have purchased long ago! We need to net our fruit trees and berries to keep the birds away. These clips allow the netting seams to be closed up. They are a bit difficult to snap closed and even harder to pry open but they should last for years. Much better than the twist-ties used in the past. Rated 4 out of 5 by Goatmomma221 from handy helper when hanging netting good, handy product. if you mess up, just use screwdriver to pry open and realign! Is this the correct price for these plastic clips?